The return of summer weather has prompted a marked increase in bicycle traffic all over Connecticut. Country roads, city streets, and scenic rail trails are filled with cyclists of all ages. But how many know that Connecticut played a prominent role in developing not just bicycles, but the market for them? Boston-born Albert A. Pope, a Civil War veteran who continued to use the honorific “Colonel” after the war, was one of the visionaries who recognized the potential for the bicycle. 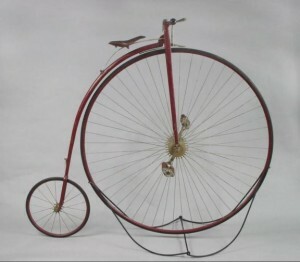 The early postwar years saw the appearance of crude bicycles called velocipedes or “bone shakers,” followed in the 1870s by the British high wheeler or “ordinary” design. 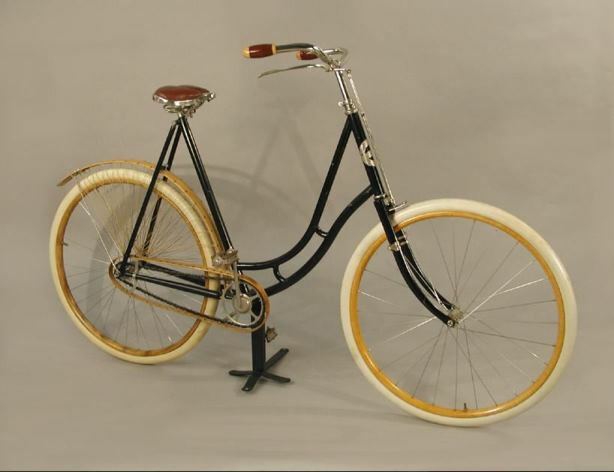 Inspired by what he correctly thought was a technological revolution, Pope made plans to mass produce an American bicycle and in 1878 established Pope Manufacturing Co. for this purpose. Though based in Boston, the firm’s manufacturing center was Hartford, utilizing the former Weed Sewing Machine plant on Capitol Avenue and the area’s plentiful supply of skilled labor. After introducing his Columbia line of high wheelers in the late 1870s, Pope continued to push bicycle development. 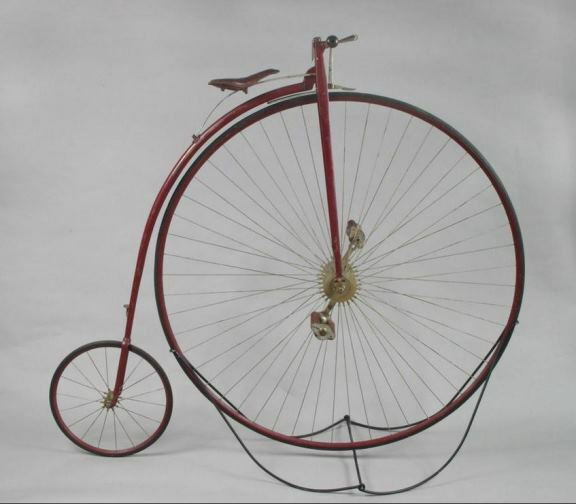 By the 1890s the firm manufactured a line of “safety bicycles” which featured wheels of equal size. Not only were these bicycles more affordable and easier to ride, but with simple design modifications like the “drop frame” and skirt guards on chain and rear wheels, they could be used by women. Almost overnight the market for bicycles was doubled. Before long the bicycle came to symbolize much more than affordable transportation as women suddenly discovered an opportunity for a new measure of personal freedom and independence. A keen businessman and true believer in this new mode of personal transportation, Pope managed to secure many bicycle patents and by the late 1890s effectively controlled the majority of bicycle production in America. Goddard, Stephen. Colonel Albert Pope and His American Dream Machines: The Life and Times of a Bicycle Tycoon Turned Automotive Pioneer. Jefferson, NC: McFarland, 2009. League of American Wheelmen, and Charles Huntington. The Cyclist’s Road-Book of Connecticut Containing Maps of Each County of Connecticut, and Westchester County, New York, Showing All Public Roads, with Reported Cycling Roads, Designated and Classified. Hartford, CT: Case, Lockwood & Brainard Company, 1888. Link. 1938 Hurricane Fuels Charcoal Business – Who Knew?